Melbourne City have won their third W-League title, defeating Sydney FC at Allianz Stadium on a sapping afternoon. The W-League grand final will be televised both on free-to-air TV and via Foxtel. On free-to-air you can find it on SBS Viceland, on Foxtel you’ll be able to find it on Fox Sports 501. You can live stream SBS’ coverage for free via The World Game website. Alternatively, you can live stream Foxtel’s coverage via the Foxtel App or Foxtel Now. 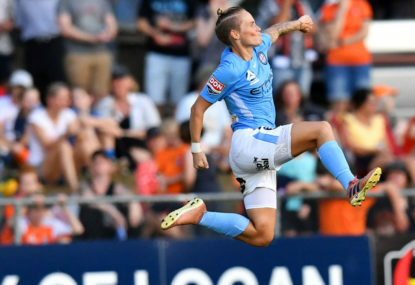 With the minor premiers Brisbane Roar knocked off by Melbourne City and the high flying Newcastle Jets bundled out of the competition by Sydney FC, the W-League comes down to this game between two of the powerhouses of Australian women’s football. Melbourne City took some time to start rolling this season but once they did, they improved with each match and have timed their run perfectly to culminate on the big day. Sydney have been solid all season and built momentum late in the year, despite being tragically hit with injuries in recent times. Without Amy Harrison and Caitlin Foord, this will be an enormous challenge for Sydney. City’s side is stacked full of international experience and seeking a third title in a row should be more than enough incentive to produce their best. Sydney will channel their injured stars and dig deep to attempt to produce a stunning upset against considerable odds. Sydney haven’t experienced defeat in ten matches and that run began with a win over City in Round 4. Melbourne spluttered through the early part of the season yet now look more like the slick machine they have been over the last two seasons as they enter the final day of the season. With everything on the line and quality across the park, this is one not to be missed. Melbourne City will be too good on the day and run out comfortable winners.